Today I'm providing the instructions for flashing CyanogenMod 7 on your Samsung Galaxy 3 (I5800/I5801) via ODIN. Before this I want to Recommend you to watch out this Video and See after Installing CyanogenMod 7 on Samsung Galaxy Apollo - GT-I5801 How your Interface Look. You need to have the Samsung drivers for your Samsung Galaxy 3 GT-I5801 installed on the desktop. To do so simply install Samsung Kies. If you have Kies already installed then you can skip this step. Samsung Kies can be downloaded from here. Next you need to have ODIN-MultiUploader-v4.252. Step 1: Extract CM7.1.0-GT-I5800_Alpha7.rar file there is no password for this file. Step 2: Enter Download Mode by pressing Power button + menu button + vol down button simultaneously. Step 3: Open ODIN and then plug in the USB cable. Step 6: The next step is the select the OPS and One Package files. Select the "CM7.1.0-GT-I5800_Alpha7.tar" file by clicking One Package button at the bottom. Step 7: Click on Start wait till your phone restart and Showing Clockworkmode. Select Wipe Data/Factory Reset with the help of Volume up/Down buttons. Select Yes with the help of Volume Up/Down buttons. 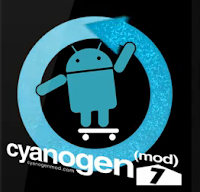 This Video Help you to install CyanogenMod 7 on Samsung Galaxy Apollo - GT-I5801.